La Cinémathèque française just published an online illustrated catalog of their historical motion picture equipment collection. It also includes the CNC’s (National Center for Cinema). The French Cinematheque has acquired, nurtured and maintained one of the finest equipment collections in the world, thanks to generous donors, since 1936. 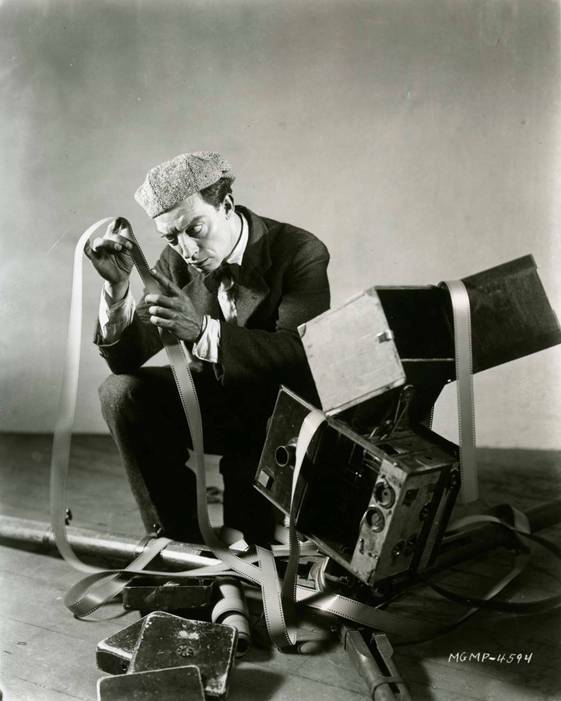 The most prestigious pieces include those of Étienne-Jules Marey, Louis Lumière, Georges Méliès, the Chronomégaphone and Chronochrome Gaumont, Vitaphoneprojector and speaker, Aaton cameras and archives of Jean-Pierre Beauviala (including the “8-35” of Jean-Luc Godard, Panavision, Pathé, Lumière, Gaumont, Éclair, Debrie, Kudelski, Ernemann, Arriflex, Mitchell, Bell & Howell, Thomson, etc. The collection became really prominent in 1959 when the Cinematheque, thanks to André Malraux, then recently appointed Minister of State for Cultural Affairs, acquired the fabulous collection of British technician and historian Will Day (1873-1936). The first catalog was published in 1996 (Le Mouvement continué, Catalogue illustré de la collection des appareils de la Cinémathèque française, Milan-Paris, Mazzotta – Cinémathèque française, Musée du cinéma, 1996) . It contained the description of 1460 items. This book has long been out of print. In 1997, the CNC added its collection of historical equipment to the Cinémathèque. This formed a coherent collection, complementing each other, that traced the international developments in film technology. Beginning in 1997, Kodak-Pathé, the French Society of Production and other companies donated hundreds of devices. Jean-Pierre Beauviala, founder of Aaton, became a regular and generous donor. The filmmaker Jacques Perrin gave the Cinémathèque prototypes that were used to film Oceans (2010). The Cinémathèque’s goal with these purchases and donations was to bring together unique devices and reconstruct the full range of some major French and foreign manufacturers: Pathé (Continsouza), Éclair (John Mery and André Coutant), Debrie, Gaumont, Kudelski, Ernemann, Lumière, Mitchell, Bell & Howell, Arriflex, Angénieux, Thomson, Aaton–from camera # 1 produced for the ORTF (1972) to the hybrid Penelope (2010). 2013 marked the acquisition by the CNC of the collection of Jean-Pierre Verscheure (projectors, sound systems, projection lenses). 2014 was successful thanks to the donation by Bernard Tichit of a very large collection of cameras. This new online catalog should be considered a work in progress that needs to be constantly updated and improved (especially with the help of Internet users). This work does not list all of the collections of devices because some are still being restored (we estimated about 6,000 items in the collection). 4200 iamges are available today. This online reference source, is intended to advance the history of technique and technology, to better understand the relationship between aesthetics and hardware, and to help conserve these precious machines. Translated by Jon Fauer, hopefully without too many mistakes.